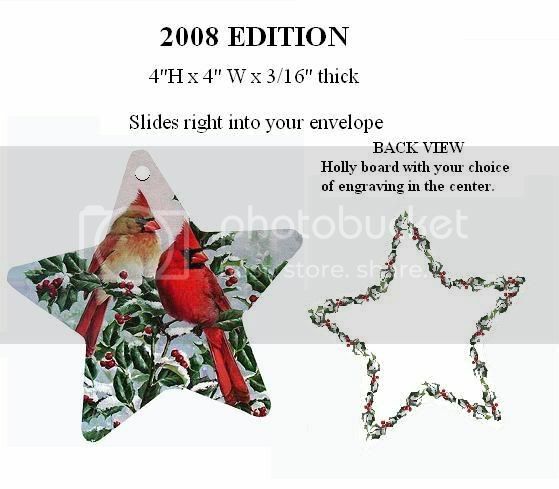 Front image is 4" x 4" x 3/16" Full-Color Printed Ornament with regal cardinals in holly. The back is boarded in holly with an area for your personalization. With no minimum order, these are wonderful gifts for family, friends and business associates.